One Man Against the Elements — and a Girl Who Was Also a Wildcat! Young Wade Barnett had come from Nebraska’s tragic dustbowl country to try to wrest a living from the more hopeful soil of an almost forgotten part of Florida — where dirt roads led to sinister forests, and men were as hard as nature made them. 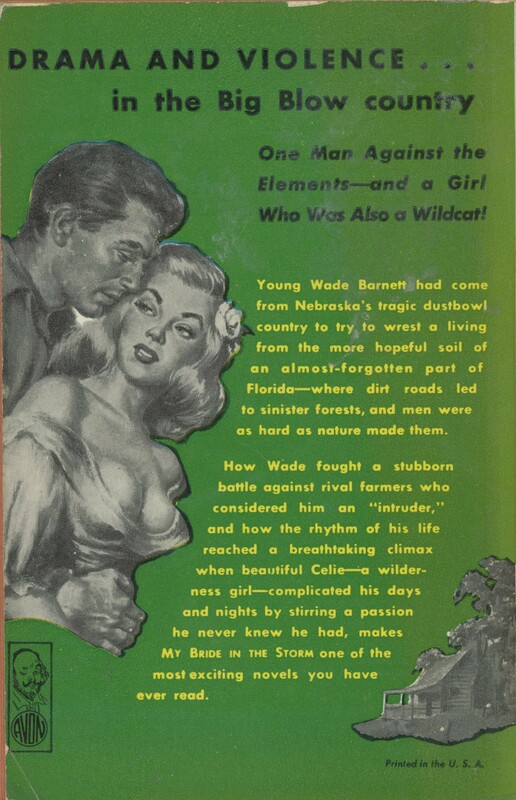 How Wade fought a stubborn battle against rival farmers who considered him an “intruder,” and how the rhythm of his life reach a breathtaking climax when beautiful Celie — a wilderness girl (isn’t that like a Girl Scout? )— complicated his days and nights by stirring a passion he never new he had (for women? 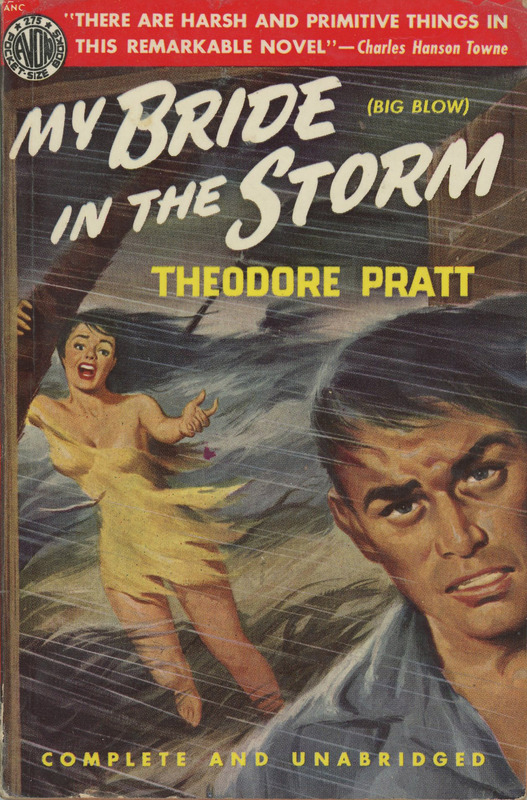 ), makes My Bride in the Storm one of the most exciting novels you have ever read.